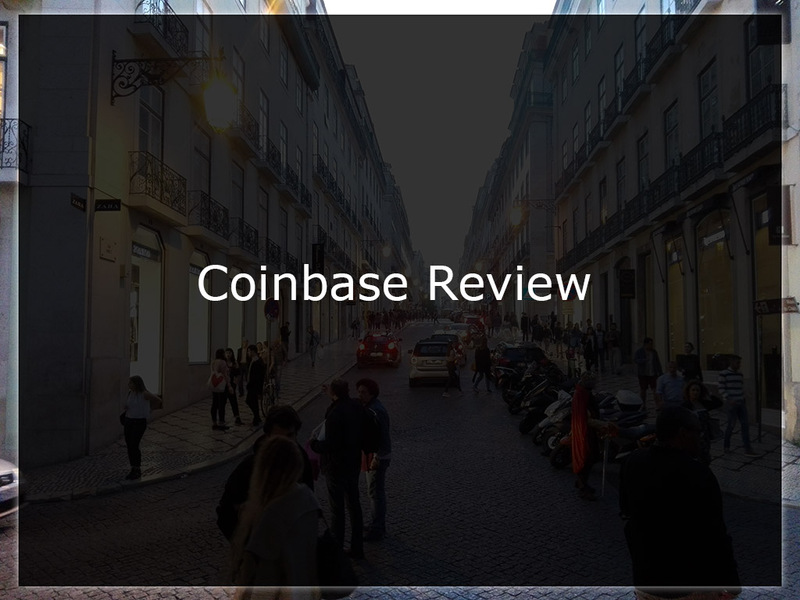 Home » Reviews • Tech » Coinbase Review: Is It The Best Place to Buy Bitcoin? If you looking to buy Bitcoin or Ethereum, you have probably heard of Coinbase. In this Coinbase review, we will analyze the main aspects of this exchange, including payment methods, fee structure and its security level. Coinbase is a great place to start if you want to do your first Bitcoin or Ethereum purchase. Its easy UI and uncomplicated order processing makes it very appealing, especially to new digital currency users. Coinbase is one of the oldest services in operation allowing users to buy Bitcoin. The company was founded in 2012 by Brian Armstrong and Fred Ehrsam. Coinbase was a pioneer in a number of achievements in the blockchain industry and received funding from several sources. The company, based in San Francisco, California continued to grow, and is currently listed as one of the most powerful working with blockchain solutions. Coinbase is also authorized by the New York Department of Financial Services to trade Bitcoin and other digital currencies. This adds credibility and safety to the service, not only for Bitcoin trading but also for Ethereum. Coinbase however, has one important downside, as it is only available in a limited number of countries. Below we have more information on which countries are elligible to buy digital currencies at Coinbase. If you have never purchased digital currencies, you will probably notice that the most complicated part of getting them is the buying process. 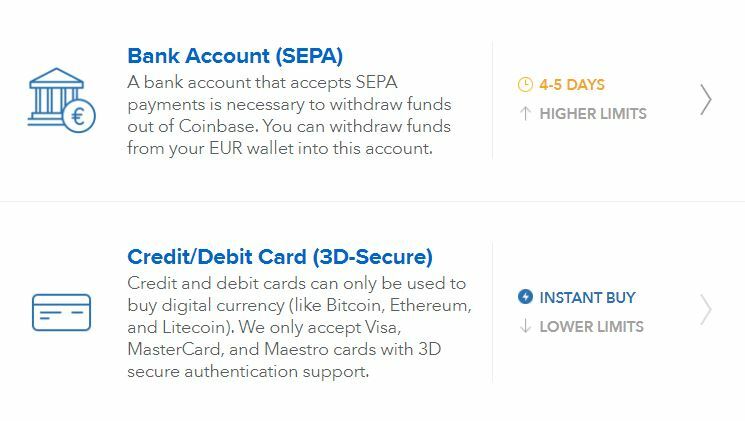 Coinbase has several deposit and withdrawal methods, and they depend in which country you live. The first important aspect to list are the countries currently available for purchasing coins on Coinbase. They are the countries in the SEPA Area (European Union and EEA countries), United States, Canada, Australia and Singapore. At the time of this article publishing these are the countries supported on Coinbase, but they may change anytime. In most countries you have the following payment options to buy digital currencies at Coinbase: bank depoist and debit and credit card. In a few cases, like Canada and Australia, you can only purchase Bitcoins and other currencies using a credit card. US customers can use PayPal, credit and debit cards, as well as bank deposit to add funds to your account. Coinbase also offers the possibility sell coins, which is available for most of its supported coins. The company is probably going to expand its reach and become available for more countries. Fees are another important aspect when it comes to buying Bitcoin, Ethereum and other cryptocurrencies. Many exchanges have a complex fee structure, and it is important to double check this before making your first purchase. Deposit and withdraw fees are pretty competitive at Coinbase, and its generally cheaper to use bank transfers to add funds to your account. Fees also vary depending on the country where your are living. For credit card purchases, the standard fee of 3.99% applies to most countries. Bank deposits have different fees depending on the country of your bank account. Most deposit via bank transfer very low fees (often even at zero rates), if you are depositing via Wire in the US the deposit costs 10$, but for ACH transfers its free. The standard buy / sell rate is of 1.49%, which applies to most transactions in most supported countries. Finally, withdrawing to your bank account is usually very cheap (for the countries where this option is available). In the SEPA area, withdraws cost jus € 0.15. Withdraw fees are especially low, which adds attractivness to Coinbase. As the bitcoin dominance is decreasing, other digital assets are growing considerably. Coinbase supports not only Bitcoin purchases, but also other crypto currencies. Coinbase is currently expanding to accept other digital currencies. Currently Coinbase also offers Ethereum and Litecoin wallets. Ethereum value is soaring in the past months, and its market cap is considerably high. Litecoin is essentially very similar to Bitcoin, but its transactions tend to be faster at the moment. Click here to buy Ethereum at Coinbase. Verification is something required by almost all digital currencies exchanges. The verification rules vary from exchange to exchange, and some require more paperwork than others. I suggest choosing services that do not require a lot of documents, and have a speedy verification process. 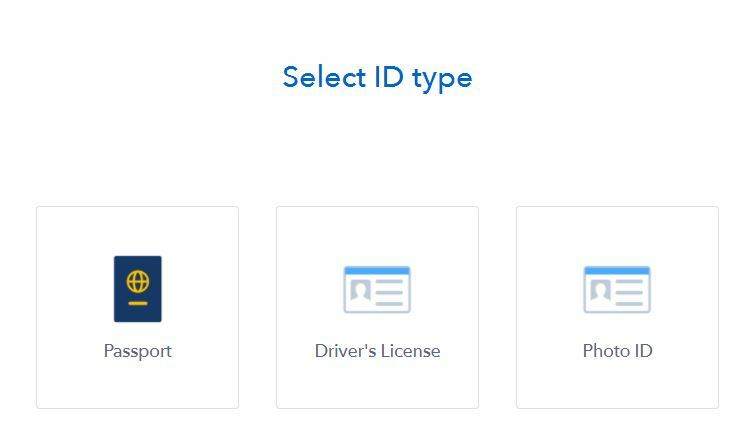 At Coinbase, the verification process is one of the fastest and simplest to purchase coins. You will need a passport or a driver’s license to complete your verification. 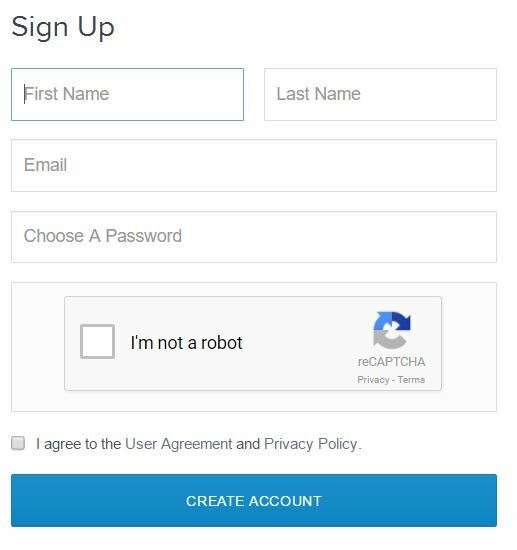 The verification process is rather automated. One of the advantages of Coinbase is that they do not require a proof of residency to buy your coins. Coinbase really puts a lot of effort to build an easy and intuitive user interface, both on desktop and mobile devices. Opening an account and verifying it is pretty easy and fast. As mentioned above, you will need to verify your account in order to buy and sell Bitcoin and Ethereum on Coinbase. After opening your account at Coinbase and verifying it, you can move to deposit funds into your account and buy Bitcoin and other cryptocurrencies. Support is critical when buying bitcoin or other digital assets. It can be also very helpful if you are new to cryptocurrencies and need some… support. The support system on Coinbase is definitely a point in which there is room for improvement. They have a chat bot that answers general questions, but it is not a live chat with a human. Therefore it doesn’t answer specific questions related to your account. Other than that, they have a ticket system. You can also email them, or contact them through Facebook. Phone support is also not available. Debit / Credit Card and Bank Account Purchase available for most supported countries. Only Bitcoin, Ethereum and Litecoin available (at the time of this article publishing). Service available only in 32 countries (at the time of this article publishing). Support is rather complicated and slow. Coinbase Review Verdict – Legit or Scam? Is Coinbase Safe? Coinbase is a regulated company in the United States, with a good overall reputation. The fact that it is based on the US adds credibility to Coinbase. Coinbase is safe and definitely not a scam. It is in fact one of the safest and fastest exchanges to buy Bitcoin and Ethereum. However, you might want to consider some of our Coinbase alternatives below. If you are considering trading bitcoins but would like to check other alternatives after this Coinbase review, the list below is just what you need. CEX.IO is one of the biggest digital currency exchanges, based in Europe. You can buy Bitcoin and Ethereum at CEX.IO using credit and debit cards, as well as bank transfers. HitBTC is another exchange to be considered when you are looking for digital currencies. The biggest advantage of HitBTC is that it has a very wide range of cryptocurrencies to buy and trade. 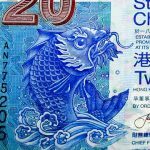 HitBTC offers the mainstream currrencies like Bitcoin, Ethereum and Litecoin, but also less known currencies with great potential for growth. LocalBitcoins is the largest peer to peer bitcoin trading website. In local bitcoins you buy and sell bitcoins to users from your country or region. This results in cheaper transaction fees in most cases. The disadvantage is that you can’t use a credit card to buy on Localbitcoins. Coinmama is among the biggest digital currency exchanges. It is a great exchange for buying crypto currencies with credit card. You can also buy Ethereum and Litecoin on Coinmama. EXMO is another good option if you want an exchange with a good number of alt coins to trade. The interface is also pretty good to work with and the fees are competitive. Did you like this Coinbase review? Have you used Coinbase before? Leave a comment below telling your experience. Coinbase is a great app among existing cryptowalllets. It is very safe. In fact, I have been using it without any problem for two years. It is really easy to use and allow to buy and sell your cryptocurrency.